Meaning Person B will have $799.20 less per year, plus will have to then pay 9% tax on those luxury items like food, shelter, water, etc. Luckily, there is a gardener position opening up in NYC and a second job may help offset that difference – careful with those shears though, Person B – you definitely cannot afford healthcare. A widely quoted statistic by the Republicans at the moment is that 50% of Americans pay no federal income tax (we’ll ignore the fact that they pay payroll taxes, social security, medicare, etc), and the view from the Right is that everyone should be paying something rather than increasing the rates on the rich job creators in the top two brackets. 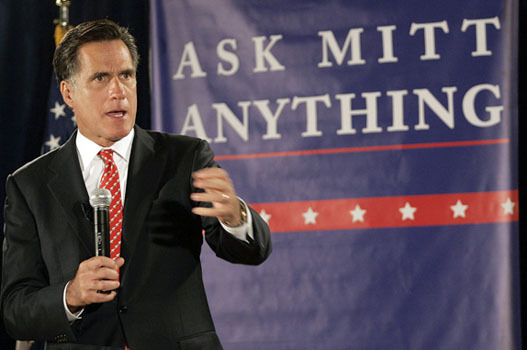 During the debt ceiling debate, part of President Obama’s plan was to raise the marginal rates on these top earners in order to generate $700bn more in revenue over the next ten years – the GOP hit back claiming that this money should be taken from the bottom 50% of the country who do not pay any federal income taxes. Well, according to the most reliable news source available in the US, The Daily Show, that half of the population of the United States controls a massive 2.5% of the wealth. To put it another way, their total assets are worth $1.45trillion, meaning that in order to generate the same amount of additional revenue, the Federal Government would need to take away half of everything the bottom 50% have. Apparently this is a fairer way of spreading the burden than increasing the highest rate of taxation back to 38% – or the same number it was prior to the Bush tax cuts came into effect in 2001. 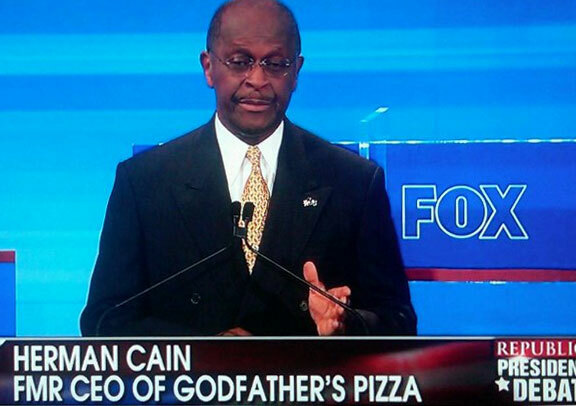 NineNineNine may have a catchy name for a tax plan, but it perhaps should have been used as a sales device in one of Herman Cain’s former jobs, CEO of Godfather’s Pizza. He could have offered a 9″ Pizza, with 9 pieces of Pepperoni guaranteed, for $9. It’s just not a fair plan, and it will decrease revenues massively – because taking 9% more from 50% of the population who have only 2.5 % of the wealth, does not balance taking 26% less from the richest 1%, who own 42% of the wealth. It does not make mathematical sense, and it does not make sense philosophically. John Rawls, in “A Theory of Justice”, used a device called the Original Position. The idea is, that the fairest way to determine how society should be constructed would be to have a person in this Original Position – deciding how everything should be setup without knowing what their position within the society would be. If you were to be in such a place, would you really design a system where you had a very small chance of controlling a significant amount of the wealth, yet everyone would be required to pay the same federal income tax rates? If everybody started from a level playing field, then there would be more of an argument for this, but there is no doubt that the United States is designed to benefit the richest 1% and they maintain that control by lobbying the Government and through campaign contributions – indeed, in the last election President Obama garnered more donations from banks than his opponent, Senator McCain. Wall Street not only knows which of their own products are toxic and to bet against (mentioning Goldmans Sachs no names specifically), they also know which candidate is most likely to win and therefore is in most need of their convincing donations. This is why the Occupy Wall Street campaign is happening, with people taking up residency on the streets of Lower Manhattan. They want to send a message that this divide between the top 1% and the rest of the population is not fair. Fox News and the right-wing blogosphere has gone out of its way to paint these people as incoherent anarchists who want to destroy capitalism and move towards European Socialism. Glenn Beck likens them to the Brown Shirts of the Nazi Party (to be fair, he does have Nazi Tourettes and thinks anything he disagrees with is “exactly what happened in 1930s Germany”). Or they have been described as hippies – the great unwashed – and have been charged with all of the stereotypes that come with that label. Maybe it is not the best way to go about initiating change, but what they are asking for is a return to the tax rates of the 1990s, under which the US economy was strong, and proper regulations on Wall Street banks – as opposed to the impotent Dodd-Frank bill, which has implemented very few regulations and has just been used by financial firms as a mechanism with which they can compete for new business. Good luck to the Occupy Wall Street protestors, they are exercising their Constitutionally protected right to petition the Government – when did all those who support the Tea Party and hold the Constitution with such reverence, forget the First Amendment?